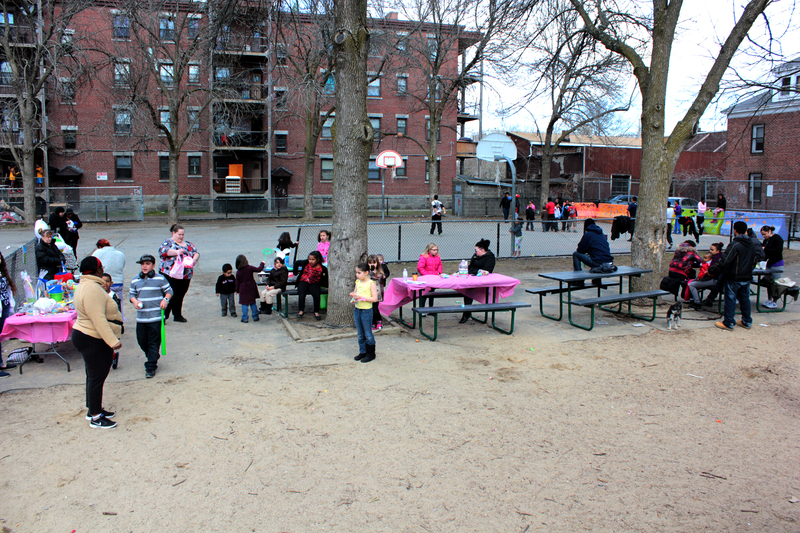 On Saturday, March 30th, Doreen Thomas and The Friends of Mary Jane Lee Park hosted an Easter Egg hunt at noon. I arrived with Pamela Joye who has photographed the children in the park and wanted to share some prints with them. 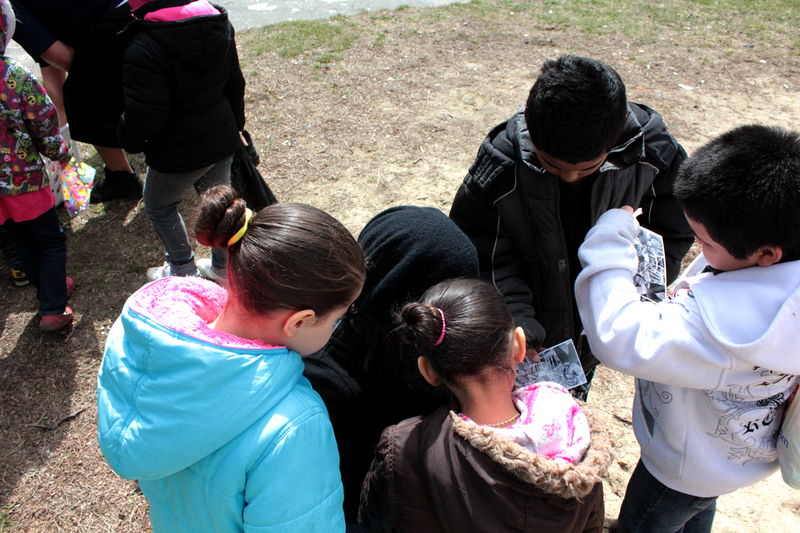 The children crowded her to view their likenesses. 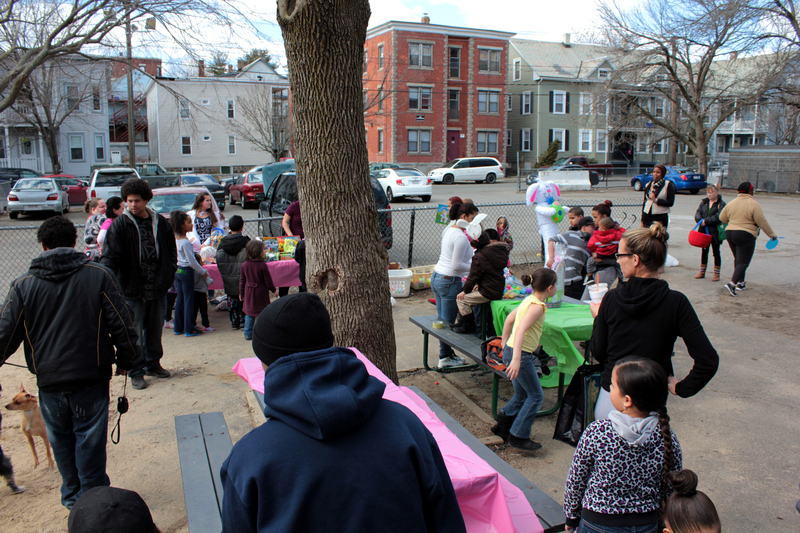 As children searched for the candy and prize filled eggs, each family received a number and was entered into a raffle for larger prizes. 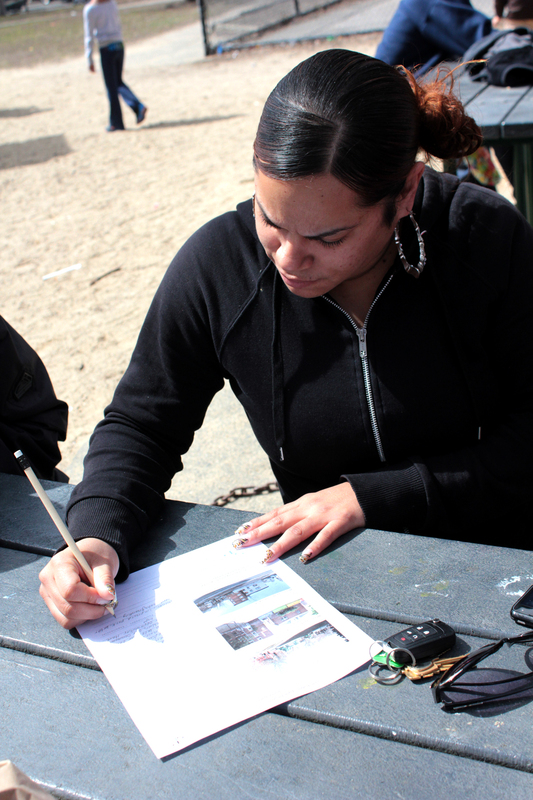 With a captive audience, Salem Public Space Project took the opportunity to facilitate some surveys to gather more insights into how people feel about the park and the recently vacated lot across the street. Happily, most everyone wanted to participate! 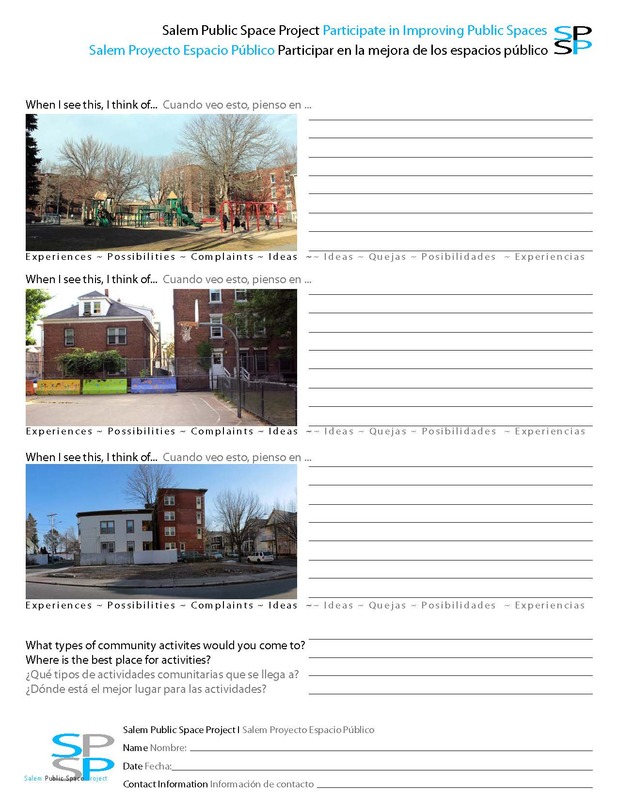 The surveys, while important, serve the even more significant task of introducing the subject of improving public space; conversations flowed easily on how the park used to be, the current assets, opportunities, and problems, and future possibilities. 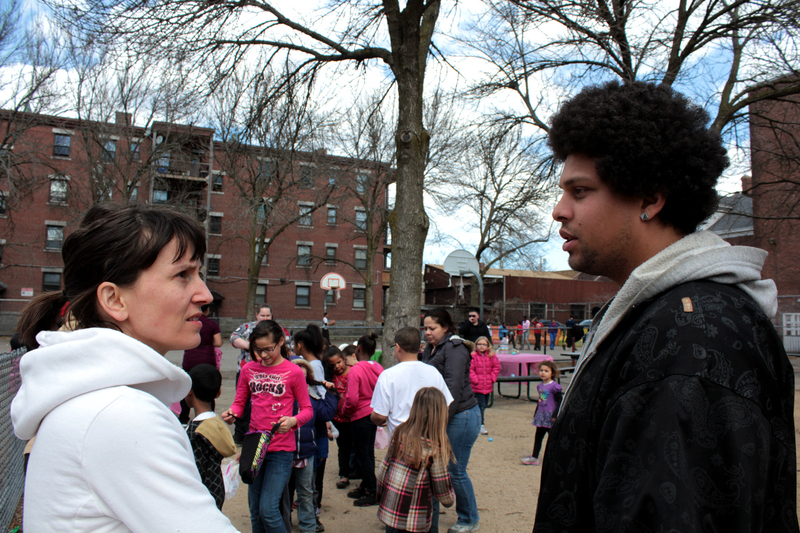 Many shared their contacts with Salem Public Space Project to join more activities, and a few volunteered their help. 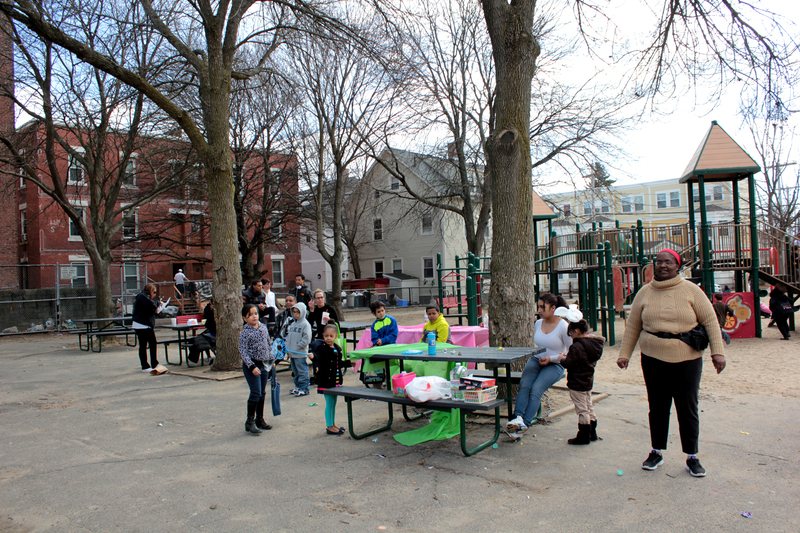 The responses to the surveys clearly show commonalities in opinions on assets and needs in the park and general condition of the neighborhood public spaces. Most everyone agreed on the need for more cleaning in the park. 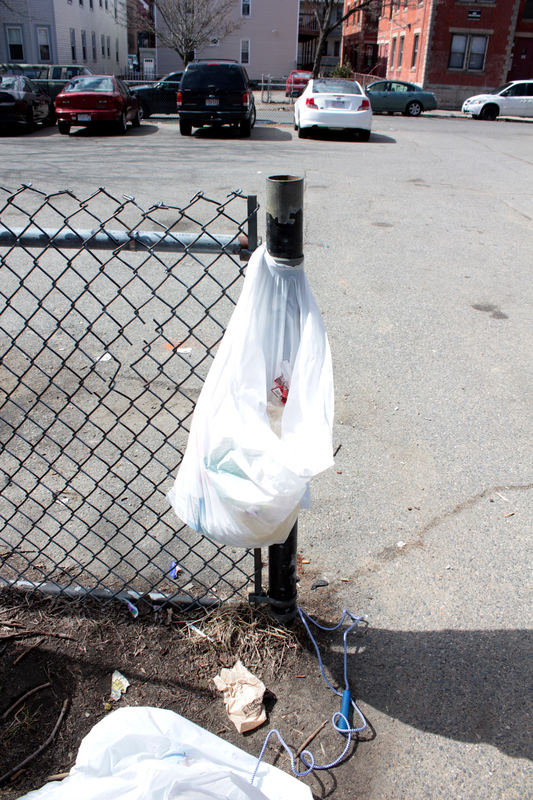 In fact, the City has yet to bring trash receptacles to the park, and so The Friends of Mary Jane Lee Park brought trash bags from home, and came to the park early in the morning to clean it up before hiding the eggs. Waste consciousness is on everyone’s mind. The children were instructed to keep the prizes, but all plastic eggs were requested back for re-use next year. 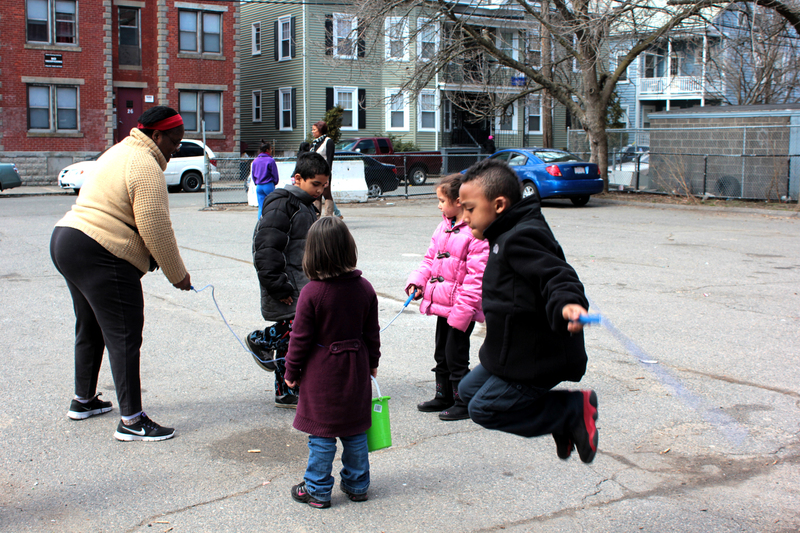 The elusive question is: How can everyone be encouraged to participate to keep the neighborhood clean? People were also quick to observe the great community evident in the play of the children and the general feeling of community between everyone. One former resident returned for the event from her new home in Swampscott as she still has family in the neighborhood and went to school with many of the parents present. 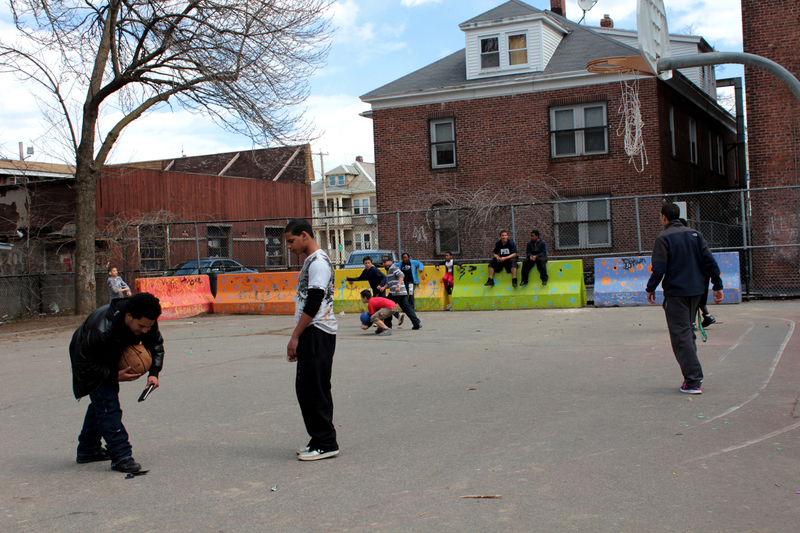 What design will create and sustain a secure environment for the children in the park without putting up more fences? 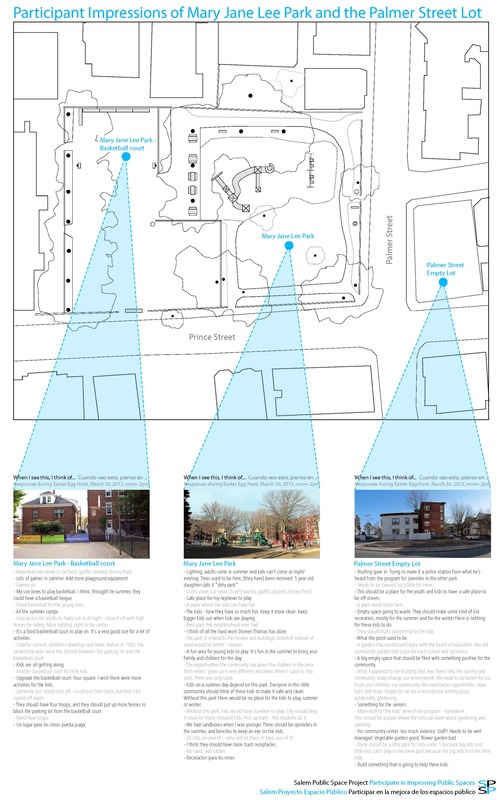 What designs or actions will keep Mary Jane Lee Park clean? How can people come together to take action and implement their common desires? This entry was posted in Dynamic Participation, Participate, The Point and tagged participation, photography, public space, Salem MA, social interactions, the point by jellybeancity. Bookmark the permalink.